A quick question for all you Scrum enthusiasts out there. "How familiar are you with Scrum Guide?" I know that it exists but I've never actually read it. Experience is more important anyway. I've heard about it, I'm planning to read it someday. Yes, of course, I've read it before I did my exam. Yes, I often read it to refresh my Scrum knowledge. You'll be surprised how many Scrum practitioners find themselves between 1 and 5. If you're one of them, it's fine, relax... I'm not a Scrum Police. I would, however, like to invite you to read it again. While you read it, see if you can uncover new things. Challenge your knowledge, learn new things and perhaps even unlearn old habits. 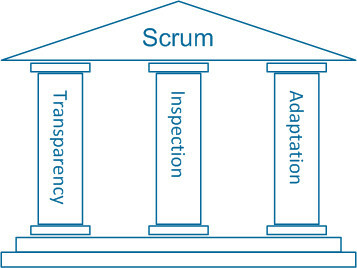 Here, I'll make it easy for you by adding the URL here: https://www.scrumguides.org/scrum-guide.html. Why should you always reiterate reading the Scrum Guide? There is something quite special about the Scrum Guide and how it is written. This has nothing to do with you not understanding the Scrum Guide. It is important to know that when you read the Scrum Guide, it is a continuous inspect and adapt cycle on its own. I've been practicing Professional Scrum for merely 12+ years now, teaching Scrum all around the world and I find it very valuable to read the Scrum Guide on a regular basis. Apart from the version changes, every time I read the Scrum Guide, I seem to discover new words or interpreting things differently. The more knowledge and understanding I gain, the more I discover while reading the Scrum Guide. So, to all Scrum practitioners out there, experienced or not, I encourage you to apply empiricism on the Scrum Guide. "If you're unable to re-discover new things in the Scrum Guide, you're probably not evolving"